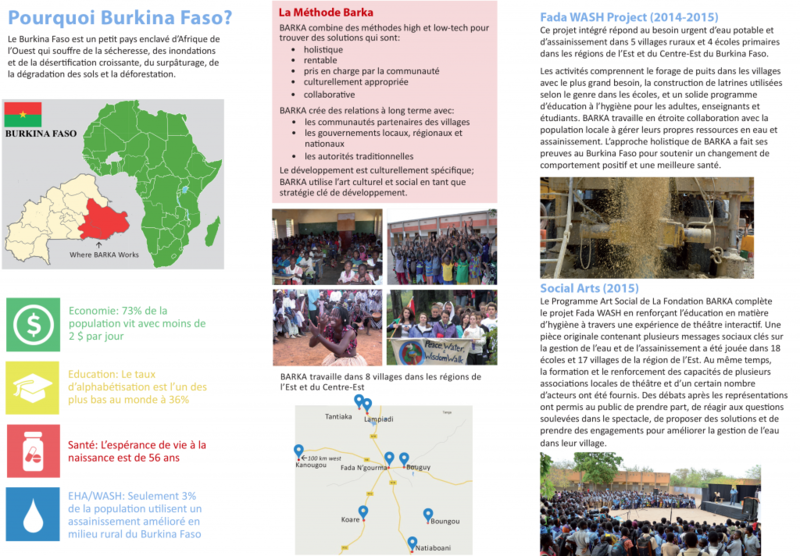 With its activities in 2015, the BARKA Foundation has made numerous contributions to the improvement of living conditions of the people of the eastern region of Burkina Faso, which fall within the logic of the SDGs. This is particularly true for the WASH, health and education related SDGs. 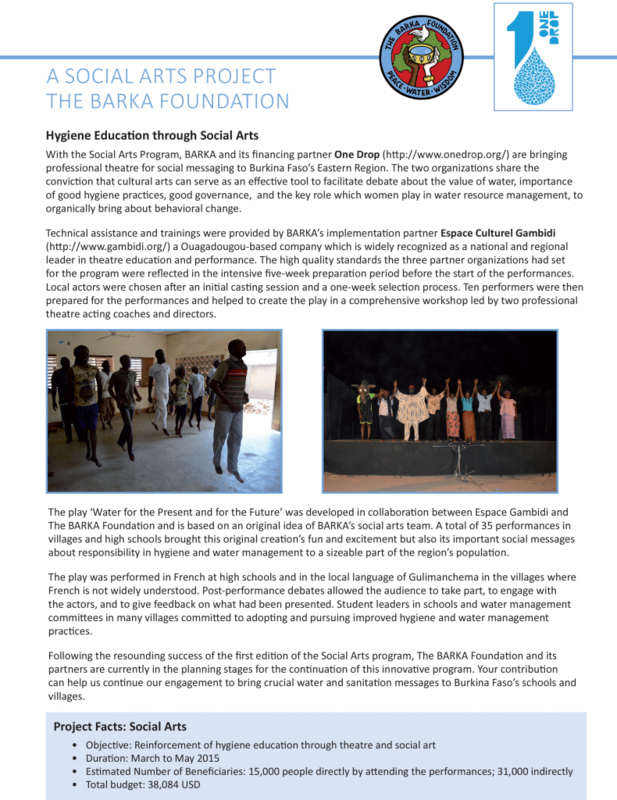 The foundations two main projects of 2015 – a 5-Village WASH Project, and a Social Arts project which encouraged discussion of the need for clean water and good hygiene through a locally produced theatre play – can serve to highlight some ways in which the SDGs were promoted in BARKA’s work. The play “Water for the Present and the Future” promoted better hygiene and management of water sources in villages and schools. At the play’s dramatic centre lies the death of a young child from acute diarrhoea. The villagers decide to improve their hygiene practices and take better care of their well in reaction to this traumatic event. 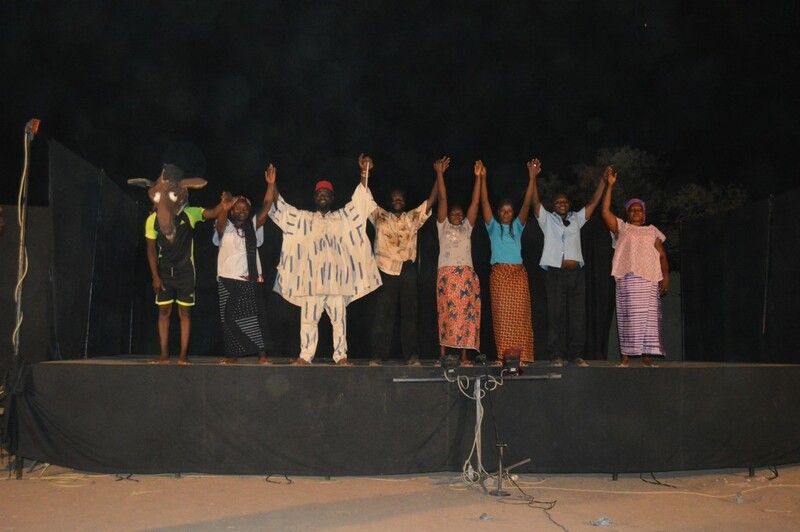 The play was written in collaboration between BARKA and the theatre specialists from Escape Culturel Gambidi and the involvement of local actors and artists in the writing process ensured that it would reflect the reality and life experiences of the people of Burkina’s eastern region. 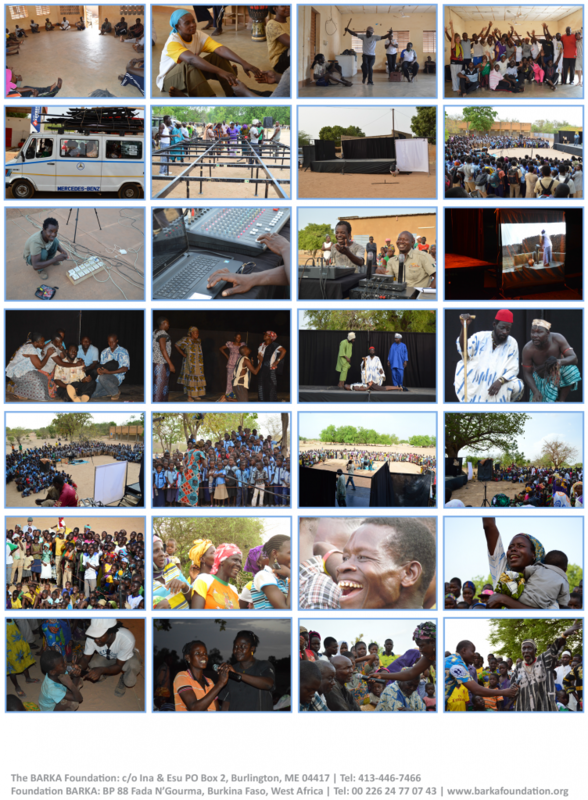 The play was enthusiastically received by villages and schools alike and commitments were made to improve hygiene and water management practices. 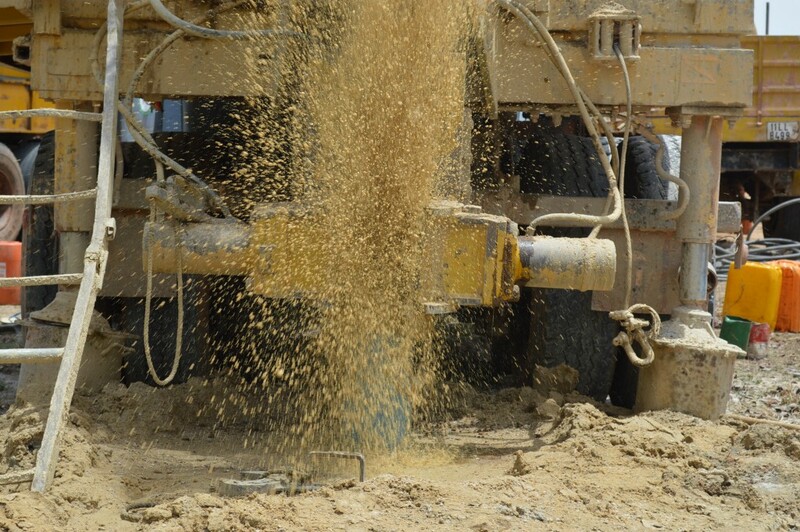 The core activities of the 5-Village WASH Project were the construction of 4 wells in villages of great need in the region and of six blocks of latrines in four schools. The sites of the wells were chosen using the method of Water Accounting: Maps of the partner village’s water points were created and analysed to identify the sites with the greatest need. The participation of local communities and their ownership of the wells was ensured through the training and continued support of village water point committees. Construction of latrines was accompanied by hygiene education for teachers and the donation of hand washing stations to schools. The latrines are all gender specific to ensure that girls will feel comfortable to use them – contributing to the achievement of a target under SDG 5, to “eliminate gender disparities in education and ensure equal access to all levels of education and vocational training”. 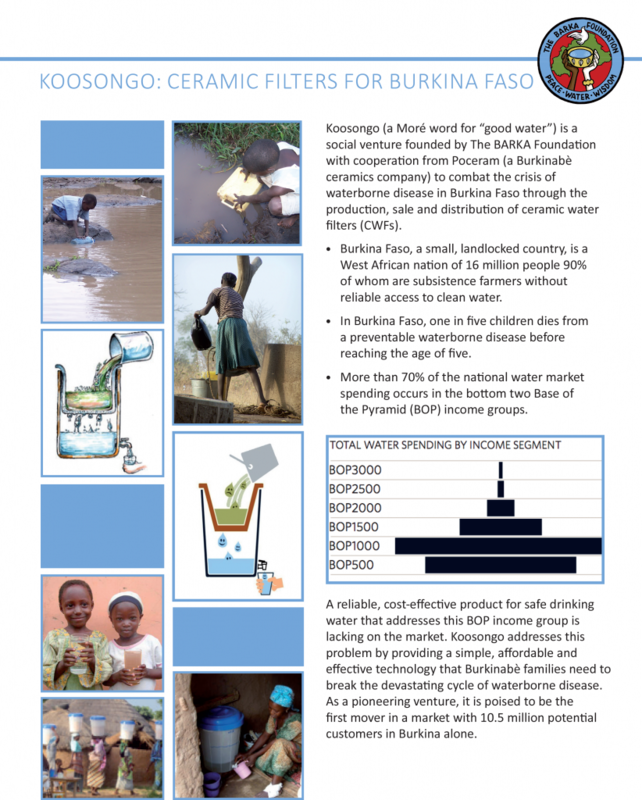 Koosongo (a Moré word for “good water”) is a social venture founded by The BARKA Foundation with cooperation from Poceram (a Burkinabè ceramics company) to combat the crisis of waterborne disease in Burkina Faso through the production, sale and distribution of ceramic water filters (CWFs). Burkina Faso, a small, landlocked country, is a West African nation of 16 million people 90% of whom are subsistence farmers without reliable access to clean water. In Burkina Faso, one in five children dies from a preventable waterborne disease before reaching the age of five. More than 70% of the national water market spending occurs in the bottom two Base of the Pyramid (BOP) income groups. first mover in a market with 10.5 million potential customers in Burkina alone. 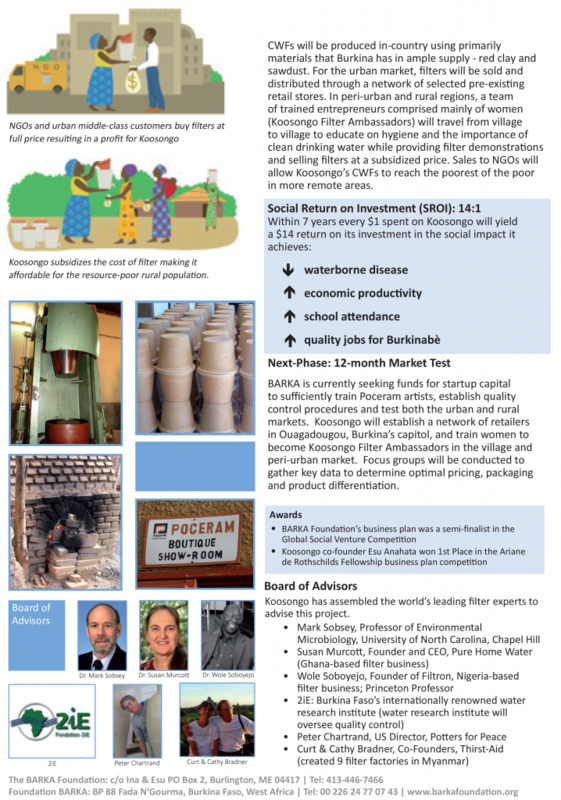 Koosongo subsidizes the cost of filter making it affordable for the resource-poor rural population. to village to educate on hygiene and the importance of clean drinking water while providing filter demonstrations and selling filters at a subsidized price. Sales to NGOs will allow Koosongo’s CWFs to reach the poorest of the poor in more remote areas. to sufficiently train Poceram artists, establish quality control procedures and test both the urban and rural markets. Koosongo will establish a network of retailers in Ouagadougou, Burkina’s capitol, and train women to become Koosongo Filter Ambassadors in the village and peri-urban market. Focus groups will be conducted to gather key data to determine optimal pricing, packaging and product differentiation. Koosongo has assembled the world’s leading filter experts to advise this project. 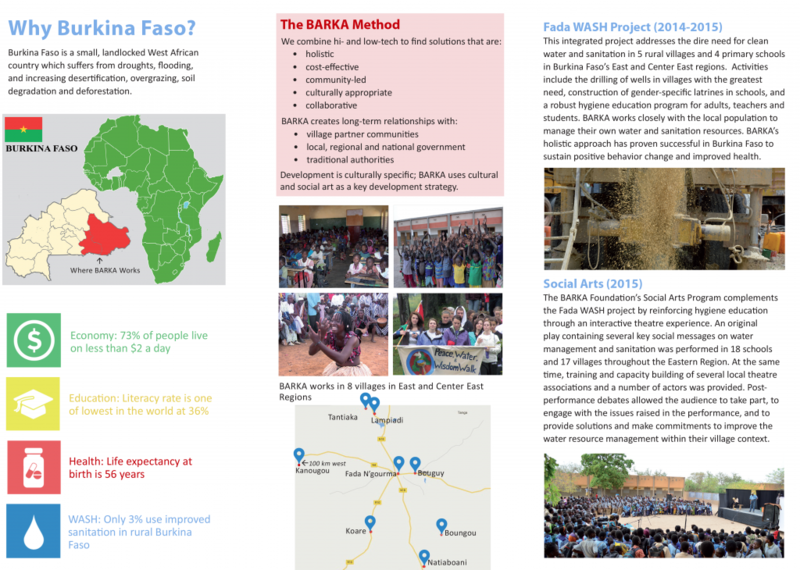 For its work to bring safe water to the population of Burkina Faso’s Eastern region, The BARKA Foundation relies on the use of simple but effective methods to establish needs, monitor and document its own performance and ensure project success. Water accounting is one method which has proved extremely useful to BARKA and is particularly well adapted to this challenging environment. In line with BARKA’s mission to combine local and global solutions and low-tech and high-tech approaches, water accounting both relies on the skills of on-the-ground researchers and puts to use mobile phones, GPS, cloud-based servers, and cutting edge free and open source technology. uses and needs, to visualize these on maps, and to choose the locations with the greatest needs for water, sanitation & hygiene education (WASH) interventions. 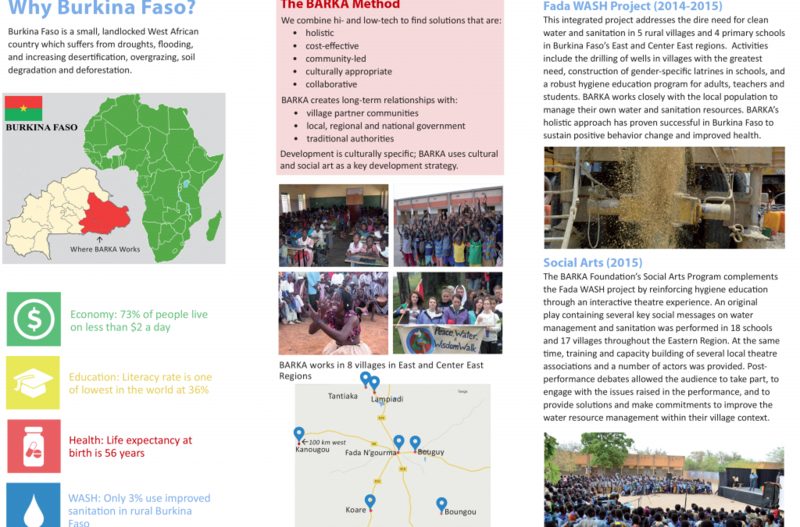 As part of BARKA’s efforts to support local synergies and cooperation, the data acquired from its research is openly shared with other actors of the local development sector. 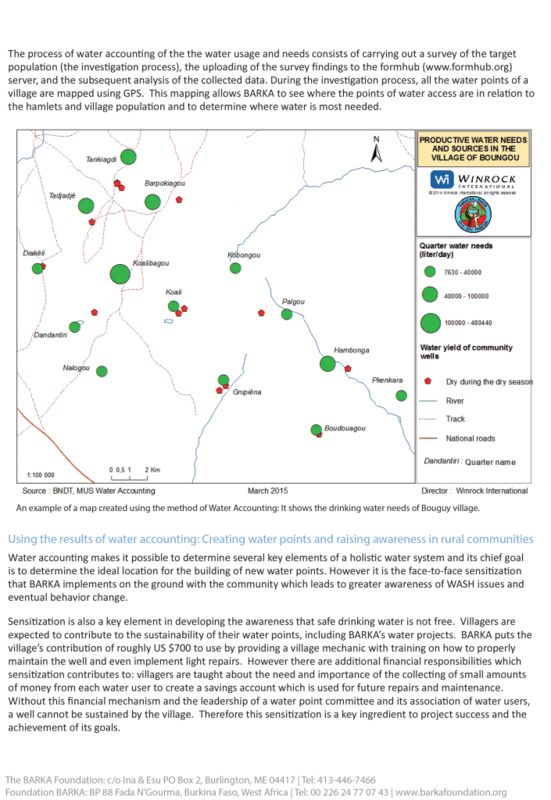 Availability of such up to date info on rural water needs can be of great importance to BARKA’s and other organizations’ planning of future projects since good documentation on the regional and village levels is often sorely lacking in Burkina Faso. BARKA staffer Idrissa Yoni travels to every water source in the village, collects information, and marks each water point via GPS coordinates. He conducts surveys to better understand if water points are used for drinking, for gardening and economic activities, or for watering animals. In one village BARKA surveyed, the extreme need for water was documented in the photos above in which a person had to descend into the well in order to fill a bucket with the small amount of dirty water that remained. This water will be used for cooking, washing and drinking. ￼The process of water accounting of the the water usage and needs consists of carrying out a survey of the target population (the investigation process), the uploading of the survey findings to the formhub (www.formhub.org) server, and the subsequent analysis of the collected data. During the investigation process, all the water points of a village are mapped using GPS. 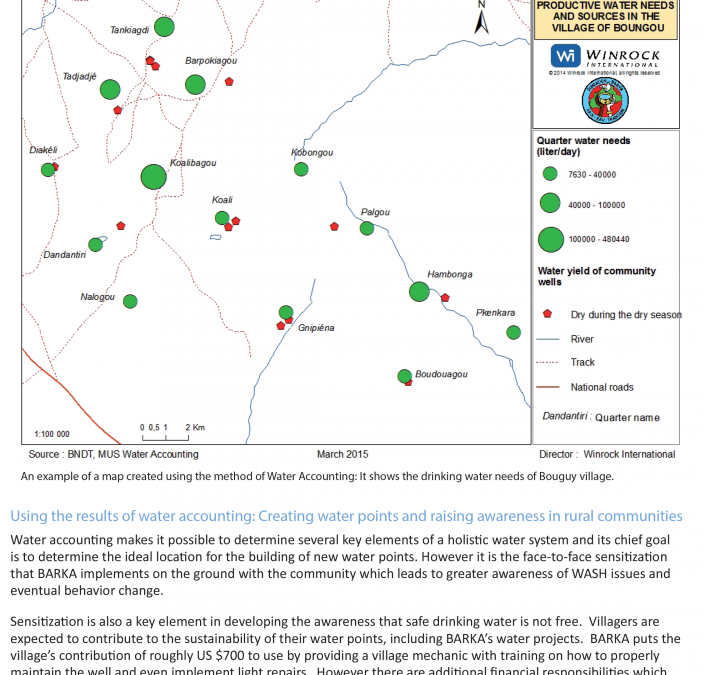 This mapping allows BARKA to see where the points of water access are in relation to the hamlets and village population and to determine where water is most needed. ￼An example of a map created using the method of Water Accounting: It shows the drinking water needs of Bouguy village. Water accounting makes it possible to determine several key elements of a holistic water system and its chief goal is to determine the ideal location for the building of new water points. However it is the face-to-face sensitization that BARKA implements on the ground with the community which leads to greater awareness of WASH issues and eventual behavior change. Sensitization is also a key element in developing the awareness that safe drinking water is not free. Villagers are expected to contribute to the sustainability of their water points, including BARKA’s water projects. BARKA puts the village’s contribution of roughly US $700 to use by providing a village mechanic with training on how to properly maintain the well and even implement light repairs. However there are additional financial responsibilities which sensitization contributes to: villagers are taught about the need and importance of the collecting of small amounts of money from each water user to create a savings account which is used for future repairs and maintenance. Without this financial mechanism and the leadership of a water point committee and its association of water users, a well cannot be sustained by the village. Therefore this sensitization is a key ingredient to project success and the achievement of its goals. With the Social Arts Program, BARKA and its financing partner One Drop (http://www.onedrop.org/) are bringing professional theatre for social messaging to Burkina Faso’s Eastern Region. The two organizations share the conviction that cultural arts can serve as an effective tool to facilitate debate about the value of water, importance of good hygiene practices, good governance, and the key role which women play in water resource management, to organically bring about behavioral change. for the program were reflected in the intensive five-week preparation period before the start of the performances. Local actors were chosen after an initial casting session and a one-week selection process. Ten performers were then prepared for the performances and helped to create the play in a comprehensive workshop led by two professional theatre acting coaches and directors. 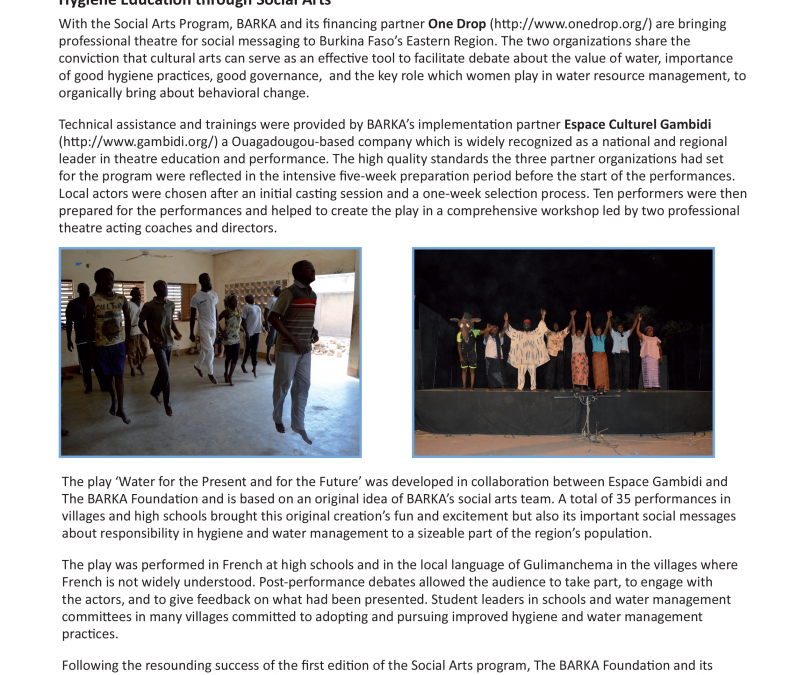 The play ‘Water for the Present and for the Future’ was developed in collaboration between Espace Gambidi and The BARKA Foundation and is based on an original idea of BARKA’s social arts team. A total of 35 performances in villages and high schools brought this original creation’s fun and excitement but also its important social messages about responsibility in hygiene and water management to a sizeable part of the region’s population. the actors, and to give feedback on what had been presented. Student leaders in schools and water management committees in many villages committed to adopting and pursuing improved hygiene and water management practices. Following the resounding success of the first edition of the Social Arts program, The BARKA Foundation and its partners are currently in the planning stages for the continuation of this innovative program. Your contribution can help us continue our engagement to bring crucial water and sanitation messages to Burkina Faso’s schools and villages. 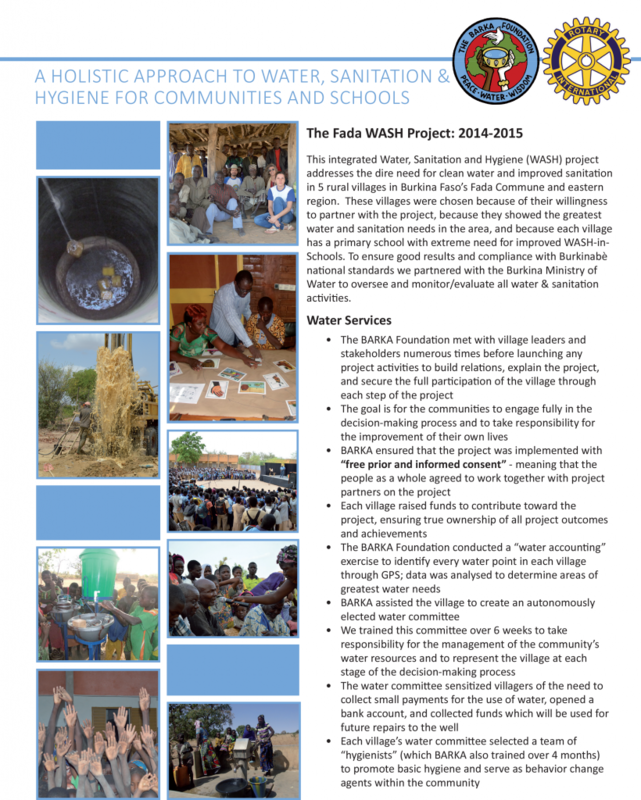 This integrated Water, Sanitation and Hygiene (WASH) project addresses the dire need for clean water and improved sanitation in 5 rural villages in Burkina Faso’s Fada Commune and eastern region. 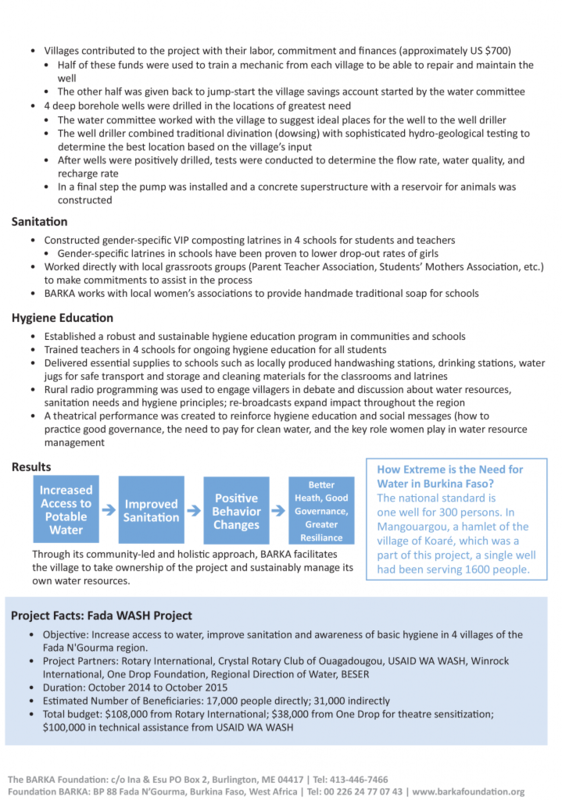 These villages were chosen because of their willingness to partner with the project, because they showed the greatest water and sanitation needs in the area, and because each village has a primary school with extreme need for improved WASH-in- Schools. To ensure good results and compliance with Burkinabè national standards we partnered with the Burkina Ministry of Water to oversee and monitor/evaluate all water & sanitation activities. Through its community-led and holistic approach, BARKA facilitates the village to take ownership of the project and sustainably manage its own water resources. How Extreme is the Need for Water in Burkina Faso? one well for 300 persons. In Mangouargou, a hamlet of the village of Koaré, which was a part of this project, a single well had been serving 1600 people. Objective: Increase access to water, improve sanitation and awareness of basic hygiene in 4 villages of the Fada N’Gourma region. The French version of this brochure is also available. 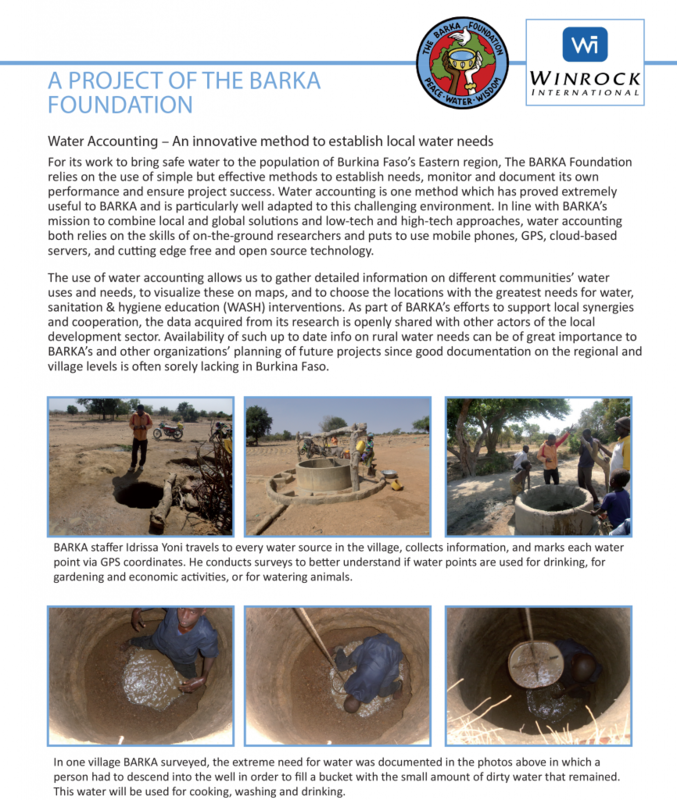 BARKA is a 501c3 non-profit charitable organization registered in the US and Burkina Faso. It is affiliated with the United Nations Department of Public Information and has Consultative Status with ECOSOC (the UN Economic and Social Affairs Division). 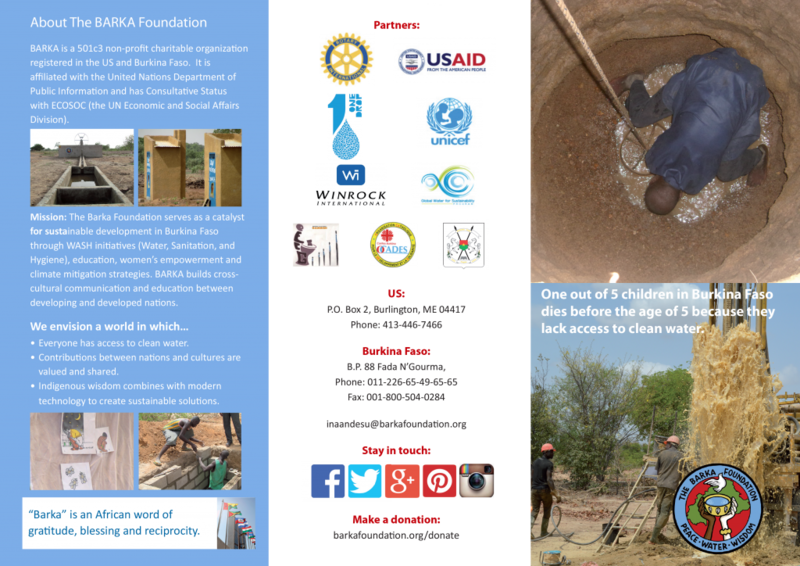 Mission: The Barka Foundation serves as a catalyst for sustainable development in Burkina Faso through WASH initiatives (Water, Sanitation, and Hygiene), education, women’s empowerment and climate mitigation strategies. BARKA builds cross- cultural communication and education between developing and developed nations. Everyone has access to clean water. Contributions between nations and cultures arevalued and shared. Indigenous wisdom combines with moderntechnology to create sustainable solutions. “Barka” is an African word of gratitude, blessing and reciprocity. One out of 5 children in Burkina Faso dies before the age of 5 because they lack access to clean water. traditional authoritiesDevelopment is culturally specific; BARKA uses cultural and social art as a key development strategy. Burkina Faso is a small, landlocked West African country which suffers from droughts, flooding, and increasing desertification, overgrazing, soil degradation and deforestation. 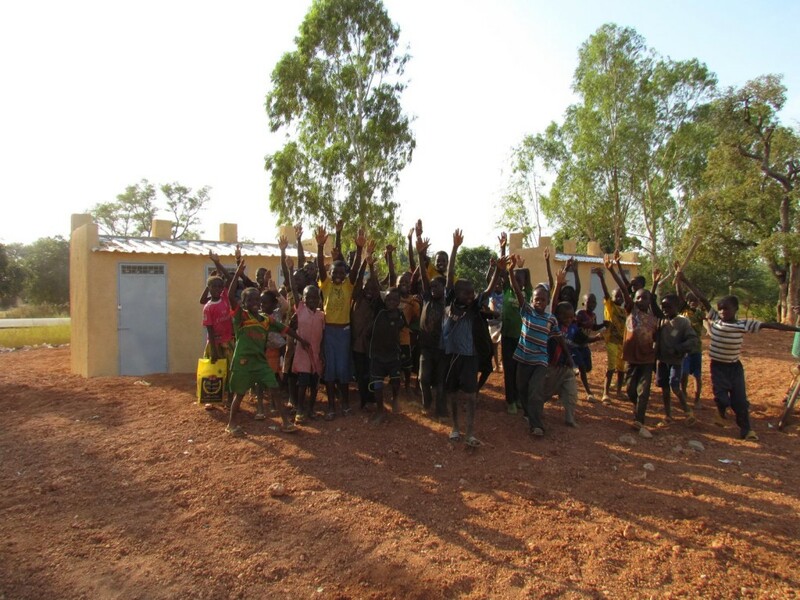 This integrated project addresses the dire need for clean water and sanitation in 5 rural villages and 4 primary schools in Burkina Faso’s East and Center East regions. Activities include the drilling of wells in villages with the greatest need, construction of gender-specific latrines in schools, and a robust hygiene education program for adults, teachers and students. 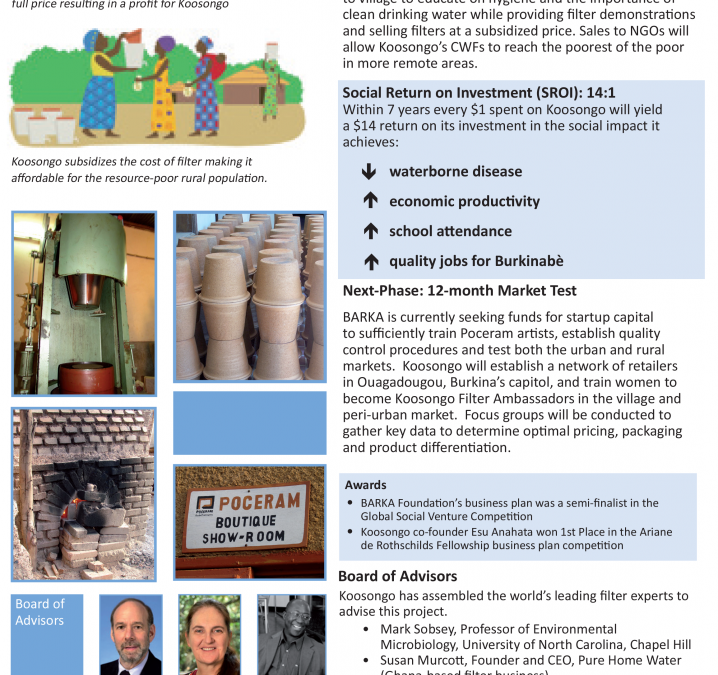 BARKA works closely with the local population to manage their own water and sanitation resources. BARKA’s holistic approach has proven successful in Burkina Faso to sustain positive behavior change and improved health. play containing several key social messages on water management and sanitation was performed in 18 schools and 17 villages throughout the Eastern Region. At the same time, training and capacity building of several local theatre associations and a number of actors was provided. Post- performance debates allowed the audience to take part, to engage with the issues raised in the performance, and to provide solutions and make commitments to improve the water resource management within their village context. À propos de La Fondation BARKA. 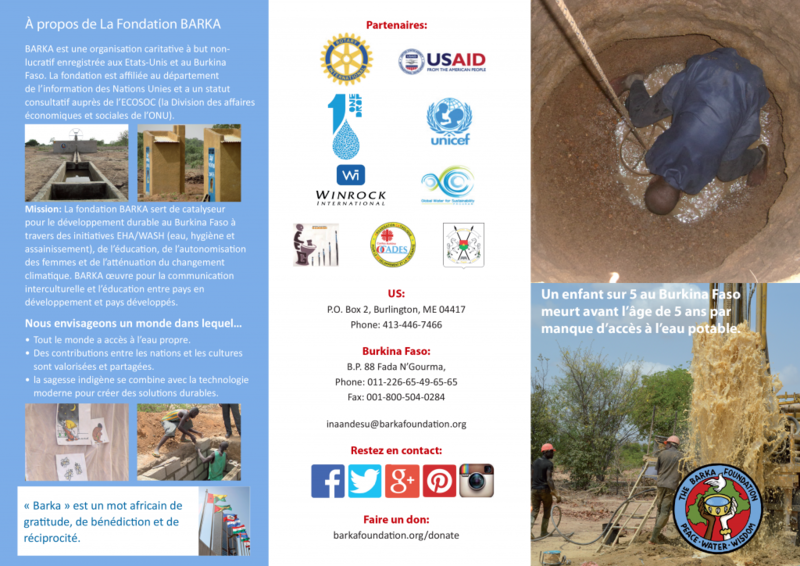 BARKA est une organisation caritative à but non- lucratif enregistrée aux Etats-Unis et au Burkina Faso. La fondation est affiliée au département de l’information des Nations Unies et a un statut consultatif auprès de l’ECOSOC (la Division des affaires économiques et sociales de l’ONU). Mission: La fondation BARKA sert de catalyseur pour le développement durable au Burkina Faso à travers des initiatives EHA/WASH (eau, hygiène et assainissement), de l’éducation, de l’autonomisation des femmes et de l’atténuation du changement climatique. BARKA œuvre pour la communication interculturelle et l’éducation entre pays en développement et pays développés. Tout le monde a accès à l’eau propre. Des contributions entre les nations et les culturessont valorisées et partagées. la sagesse indigène se combine avec la technologiemoderne pour créer des solutions durables. « Barka » est un mot africain de gratitude, de bénédiction et de réciprocité. Un enfant sur 5 au Burkina Faso meurt avant l’âge de 5 ans par manque d’accès à l’eau potable. Le développement est culturellement spécifique; BARKA utilise l’art culturel et social en tant que stratégie clé de développement. Le Burkina Faso est un petit pays enclavé d’Afrique de l’Ouest qui souffre de la sécheresse, des inondations et de la désertification croissante, du surpâturage, de la dégradation des sols et la déforestation. 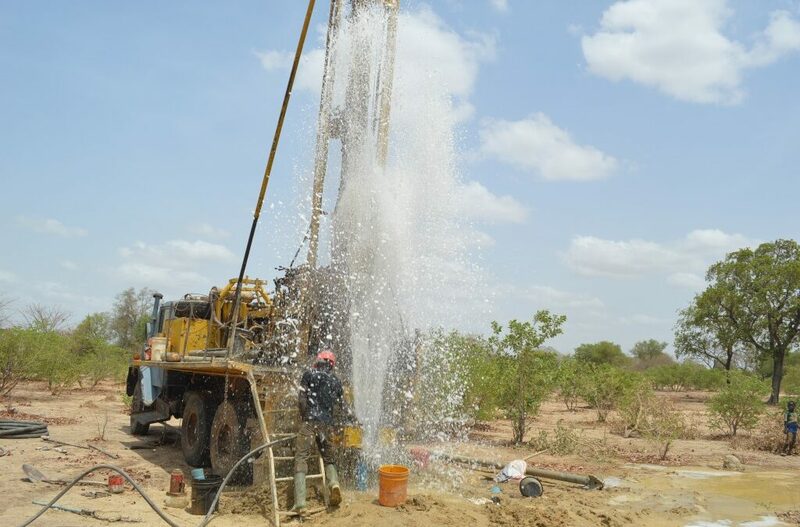 Ce projet intégré répond au besoin urgent d’eau potable et d’assainissement dans 5 villages ruraux et 4 écoles primaires dans les régions de l’Est et du Centre-Est du Burkina Faso. Les activités comprennent le forage de puits dans les villages avec le plus grand besoin, la construction de latrines utilisées selon le genre dans les écoles, et un solide programme d’éducation à l’hygiène pour les adultes, enseignants et étudiants. BARKA travaille en étroite collaboration avec la population locale à gérer leurs propres ressources en eau et assainissement. L’approche holistique de BARKA a fait ses preuves au Burkina Faso pour soutenir un changement de comportement positif et une meilleure santé. la formation et le renforcement des capacités de plusieurs associations locales de théâtre et d’un certain nombre d’acteurs ont été fournis. Des débats après les représentations ont permis au public de prendre part, de réagir aux questions soulevées dans le spectacle, de proposer des solutions et de prendre des engagements pour améliorer la gestion de l’eau dans leur village.